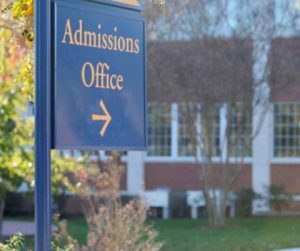 What is the Admissions Recruiting Advantage program? It’s an advanced recruiting training and message development system provided by the team of collegiate recruiting and marketing experts at Tudor Collegiate Strategies. When we implement the Admissions Recruiting Advantage (ARA) program with a college admissions department, we focus on what other admissions consulting groups often fail to address: Training your admissions representatives how to be effective, consistent sales professionals who can effectively communicate with your prospective students and help guide towards a commitment to your college. We identify your staff’s strengths and weaknesses, develop training designed to specifically meet their needs in conjunction with your admission department goals, and work with you to make sure a prospect sales management plan is in place to track results and exceed your targets. We train admissions staffs how to take a more strategic approach to their recruiting efforts. Why trust us? Since 2005, we have been the recognized national leader in training athletic coaches how to recruit more effectively. Nearly every college coach and athletic director has heard of our “Selling for Coaches” program and read our weekly recruiting strategy newsletter. Admissions departments have requested our help for years, and have now started serving them with the same proven techniques that have revolutionized college athletic recruiting. How does it work? We come to campus and work closely with you and your staff to create a year-long master recruiting plan for your prospects. We map out a logical, compelling series of messages based on specific focus group research with your students that leads more of your prospects to campus. We then train your staff how to communicate effectively with this generation of teenager and their parents as they go through the college search process. We conduct extensive proprietary focus group research with your student body to determine what messages work, what you should focus on in your messaging, and how best to communicate with them specifically during their decision making process. We then match that with our national database of information on how this year’s class of Seniors are making their decisions. We teach your staff what communication techniques work – and which ones don’t – when you are hosting campus visits and speaking with visiting families. We will show your admissions counselors how to be effective with their time, how to ask questions that stimulate conversations with teens and their parents, and why they need to communicate through multiple channels to tell your school’s unique story. Your staff will be taught what a prospective college student is looking for and how they should make their case as to why your school is the best option for a prospective college student. We can develop a two day intensive plan to work one-on-one with your admissions staff, or couple that with consulting with your staff for the entire year, helping them develop their message over the entire year and ensuring that the right message and correct sales techniques are being used at all times as they sell your campus to your prospects. Who is it for? Any Director of Admissions who wants to make sure that their staff has the latest recruiting techniques and strategies based on real-time, personalized research with prospective students. Your staff will be equipped to recruit more effectively – and more confidently – than they ever have before because they will know the right communication strategies to use based on our proprietary research and training techniques. Why does it work so well? Because through our expanded, ongoing nationwide research, we know what communication techniques and sales approaches work best. We don’t sell prospect names, we don’t offer management software…we train your admissions team how to sell effectively, from the start of the recruiting process to the end. Want to see examples of what a typical ARA campaign looks like, and get a rundown of other ways we can help your school increase enrollment? Contact Jeremy Tiers at jeremy@dantudor.com and let him know you want information on the ARA program for admissions departments. Jeremy Tiers is a former men’s college basketball coach and education professional with nearly 15 years of experience leading programs through rebuilding, change and growth. During much of his time as a college coach, he served as Recruiting Coordinator. In addition to evaluating thousands of prospective student-athletes, Jeremy organized many programs that resulted in both academic and athletic success. He also boasts an extensive background in player development, managing employees, team building and organizing events. 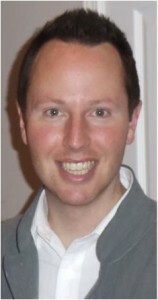 Additionally, Tiers has experience as a High School College and Career Advisor. In that role, he served as the primary resource for students and their parents in preparation for post secondary education or other career opportunities. Questions about what Tudor Collegiate Strategies can do for you and your program? Please fill out this form and we will get in touch with you shortly.